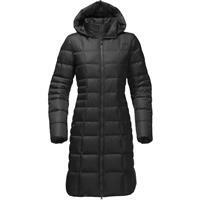 Keep your whole body warm and cozy with the North Face Women's Metropolis Parka II. If you live in an area with harsh winters or experience a higher windchill, the parka is the perfect outer jacket to have. City dwellers rejoice — you can finally walk through the city without freezing within minutes! The Metropolis Parka II is insulated down, which helps trap the warm air in. The heat gets trapped within the little pockets of air in between the feathers on the interior of the coat. If you're feeling extra chilled, pull on the removable hood and slip your hands into the covered-zip pockets. You won't compromise style for comfort when you choose the North Face Metropolis Parka II. Say goodbye to bulky, shapeless winter jackets. 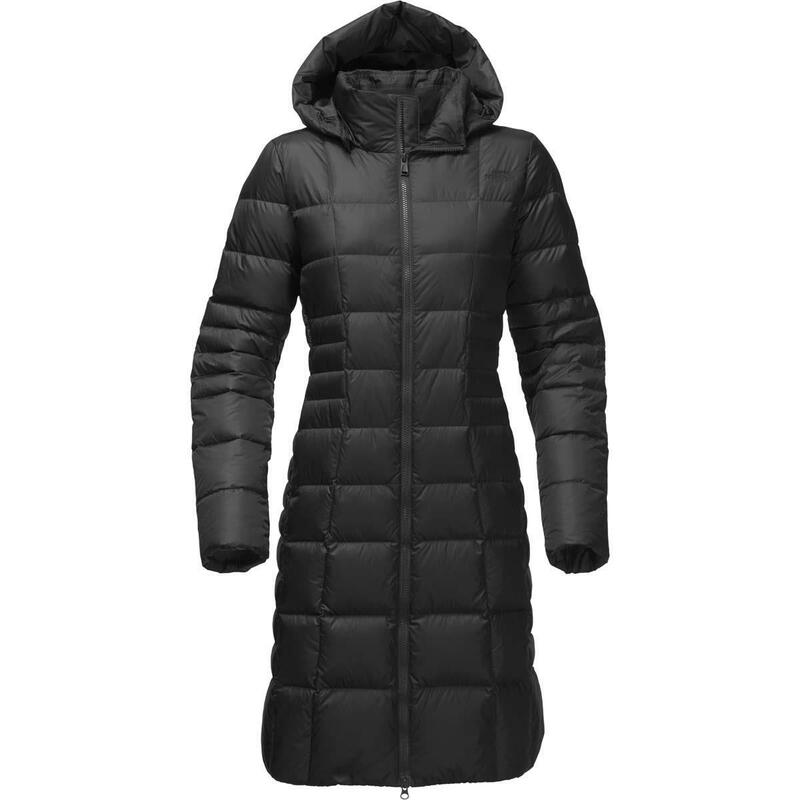 The parka is contoured along the waist for a better fit without feeling too tight. This jacket is super warm while also not getting too puffy. The hood is really nice on windy days and it does compress down pretty small to be packed away. This is a really great coat for around town, for football games and going to work. This jacket is very stylish and warm and is perfect for any cold day. The length gives you a little extra coverage and warmth in areas. Not too bulky either! One of the warmest around town parkas in our inventory. Classic North Face quality and absolutely perfect for those Friday night football games or early morning soccer fields! This jacket is really warm and since its long makes it even warmer. The fit is really nice and not bulky at all.